What do geeks do when they wait for Santa? At least some of them tweak their Blogger template ... and so my blog got a completely new look-and-feel (after I've spent three months managing to postpone this task). Any opinions and suggestions are most welcome; after all, I'm not even close to a web designer. I've considered only the individual post pages, the blog's home page has 20 times more hits than the next page and most of the top-10 pages are the per-category listings. I don't know where to get these images and how to get the License Key for Pagent. Questions like this should always be directed to your Cisco contacts (try the non-support channels, the always overloaded TAC team usually cannot help you). Even if I had the Cisco-internal information you're looking for, I'm bound by so many Non-Disclosure Agreements that I couldn't share it with you. Have you ever wanted to practice with all the aspects of the OSPF technology, from simple single-area scenarios to a complex MPLS environment? The new remote lab product we've just released gives you the opportunity to test a number of OSPF concepts and configuration techniques. The Open Shortest Path First - Complete Technology lab bundle is a collection of exercises taken from standard Cisco courses (BSCI, MPLS and IP6FD) enhanced by specific OSPF scenarios (Non-Broadcast Multi-Access, Sham link support) and complete real-life deployment scenario (OSPF Superlab), enabling you to gain advanced skills in configuring and monitoring OSPF in complex and diverse network environments. This show command does not display non-TCP/UDP servers (OSPF, EIGRP, RSVP) or even some UDP-based services (RIP). Although I was considering writing about CPP for a long time, Artur Szymanski was the one that brought this command to my attention. Thanks! 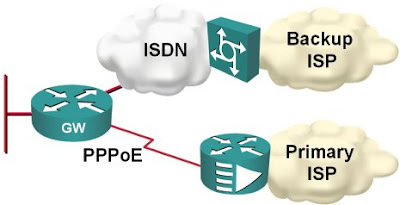 The GW router has a static route that collides with the EBGP route and thus the BGP route cannot be inserted in the IP routing table (as the static route has administrative distance 1). The RIB failure feature was introduced in IOS release 12.2T; prior to that, the BGP routes with higher administrative distance than other route sources were silently ignored (similar to all other routing protocols). You can display BGP routes that are not inserted in the IP routing table with the show ip bgp rib-failure command, which also explains why the BGP route was not inserted in the IP routing table. The BGP routes that are not used due to higher administrative distance are still advertised to all BGP peers (contrary to what most other distance-vector routing protocols do), unless you configure bgp suppress-inactive (introducted in 12.2T and 12.0(26)S). … you cannot enter the action x.y reload configuration command any more (or any other command that includes the string reload). To distinguish the reload command from other appearances of the same string, use the ^reload pattern (reload occuring at the beginning of the line). Whenever I'm describing the idea of running BGP across parallel serial links with duplicate IP addresses (like I did in the November IP Corner article, Load Balancing in BGP Networks, section External BGP Load Balancing), there's always someone asking “does it really work?” … so I'm enclosing a tested working configuration. You've probably heard the joke about the honest salesmen: it's not that they're lying, what they know isn't true. I had a similar problem recently: in the 10 MPLS traffic engineering myths and half truths I wrote “Half-truth: MPLS TE only works with OSPF and IS-IS routing protocols.” Ivan Kuchin understood that as “You can run MPLS TE without OSPF or IS-IS.” Although I haven't written that anywhere, I also thought that was the case … so let me try to weasel out of this mess. In order to have MPLS TE running on a router, you need an MPLS TE router-id, and you can only specify that in OSPF or IS-IS routing protocol. Even though the hop-by-hop explicit path is static, the router wants to run PCALC for every hop in the path. If the next-hop IP address is not in the OSPF topology database, the router will not even try to set up the tunnel. If you want to run MPLS TE in your network, you thus need to run OSPF or IS-IS, even though you might not want to use them for IP packet forwarding. For example, you could enable one of them only on the links actually used for MPLS TE and set the distance to 255 to prevent their routes from getting into the IP routing table (and I've tested it in the lab before writing this post). The action cli commands used in EEM applets as well as the cli* Tcl functions used in EEM Tcl policies open a virtual Telnet session to a VTY line to execute the CLI commands. The first command you have to execute in the EEM applet is thus the enable command to ensure the next commands will be executed with privilege level 15. You don't have to specify the enable password. Likewise, if you want to configure the router, the next command to execute is the configure terminal command, followed by the configuration commands. action 2.0 cli command "interface loopback 3"
action 2.1 cli command "no shutdown"
%HA_EM-6-LOG: TEST : DEBUG(cli_lib) : : CTL : cli_open called. %HA_EM-6-LOG: TEST : DEBUG(cli_lib) : : OUT : Enter configuration commands, one per line. %HA_EM-6-LOG: TEST : DEBUG(cli_lib) : : CTL : cli_close called. IOS release 12.3T (and 12.4) introduced a great security feature: the ability to disable password recovery (using the well-known break key sequence) with the no service password-recovery global configuration command. However, once you configure this feature on some routers, you might have no means whatsoever to get it under control if you forget the password. The IOS documentation states that you should be able to erase NVRAM (thus losing the config, but protecting the password integrity) if you press the break key a few seconds after the Image text-base: 0x........, data-base: 0x........ message appears. Unfortunately, that does not work on the router I've been doing my tests on (2811 with c2800nm-advipservicesk9-mz.124-6.T.bin and ROMMON Version 12.4(1r)). There was simply no way to erase NVRAM, so the router would remain locked up if I had really forgotten the enable password. Note: After my tests, I was told that pressing the break key as soon as the router is powered up might work. Moral of the story: test whether you can recover the router with your particular combination of IOS/ROMMON versions before disabling password recovery (and forgetting the password). In response to my post about combining Tcl shell with EEM to get around the “no prompts” limitation of EEM action cli command, Xavier proposed using the undocumented pattern option of the action cli command, which changes the string the EEM script is expecting to indicate that the current command has been executed. action 0.9 cli command "enable"
action 1.0 cli command "clear counter loopback 0" pattern "confirm"
action 1.1 cli command "y"
Designing and operating large BGP networks has always been a challenge, as you have to deploy BGP on all core routers and design a hierarchy of internal BGP routers to get around the full-mesh limitation. When MPLS was introduced, it gave us means of deploying BGP only on the network edges, with the core routers carrying just the information about the BGP next hops. Are you running a BGP network without MPLS or are you using BGP on the edges and MPLS transport in the core? If you have a large number of BGP routers, do you have a nice hierarchy of BGP route reflectors (or confederations) or ad-hoc implementation where every router has all neighbors as RR-clients? Full disclosure: I might use the information you give me in an upcoming article. You've generated a lot of comments when I've asked you about your opinion on the feed format I should use. Thank you for your time and efforts! Although the majority doesn't care what feed format I use, there are a few that would prefer the full feed … and I can understand that completely, as I am also reading a lot of content in my RSS reader. Therefore, I will not change the feed format until I will find means of giving you enough text in the shortened feed to enable you to make a decision as to whether the original post is worth reading. Last but not least, I'll have to reduce the post frequency in the next few weeks due to other work I have to complete in this year and I'll vanish (temporarily) around Christmas, to be back in the first half of January. If you want to study for your CCSP certification and have partner-level access to Cisco's web, you can schedule Securing Networks with Cisco Routers and Switches remote labs free-of-charge straight from Partner E-learning connection by clicking this link (partner-level CCO username required). If you're not a Cisco partner, you can buy the same labs from our web site. We all know that BGP is meant to converge slowly ... well, the MPLS/VPN service providers tend to disagree, as their users are not used to minute-long convergence times. One of the major components of slow BGP convergence is the time it takes a router to discover that a neighbor has disappeared. Traditionally, the BGP keepalive packets were sent every minute and it took up to three minutes to discover that a neighbor is down. Of course you could fine-tune those times with the neighbor timers configuration command, but the reduced timers resulted in increased TCP traffic and consequently increased CPU load, which could reach tens of percents if the timers were set to a few seconds and the router had lots of BGP neighbors. I will cover the route-map option as well as the design implications of this feature in an upcoming IP corner article. When the traffic is switched from the primary to the backup ISP, I therefore also need to switch the DNS servers. Fortunately, this is quite easy to do on a router; you just need to configure ppp ipcp dns request on the dialer interface and the router starts asking for the DNS server address as part of the IPCP negotiation. The access server receiving the call requires no special configuration; the first IP address configured with the ip name-server command is used as the primary DNS and the second one as the secondary. Alternatively, you can configure a different set of DNS servers to pass to the client with the ppp ipcp dns primary-DNS-address secondary-DNS-address interface configuration command. When I've been describing the limitations of kron, ??? quickly asked an interesting question: “as I cannot insert extra input keystrokes with EEM applet, can I run a Tcl script from it with the action sequence cli command "tclsh script" command and use the typeahead function call to get around the limitation?” The only answer I could give at that time was “maybe” … and obviously it was time for a more thorough test. The short result is: YES, you can do it (at least in IOS release 12.4(15)T1). … and here is the long description of the test. I've started by creating a small Tcl script (see below) that clears the counters on Loopback 0. As the clear counters command requires keyboard input and generates a syslog message, it was a perfect test case. exec "clear counter loop 0"
action 1.1 cli command "tclsh flash:tcl/clearL0.tcl"
%HA_EM-6-LOG: Clear : DEBUG(cli_lib) : : CTL : cli_open called. %HA_EM-6-LOG: Clear : DEBUG(cli_lib) : : CTL : cli_close called. event syslog pattern "OSPF-5-ADJCHG. *to FULL"
You can find more Tclsh-related information in the Tclsh on Cisco IOS tutorial. Sample Tclsh scripts are available in the Tclsh script library. If you need expert help in planning, developing or deploying Tclsh scripts in your network, contact the author. I've written a lot about MPLS Traffic Engineering (not nearly as much as I would like, but there are always time constraints), as I believe this technology has interesting applications in Enterprise networks (and we all know that a lot of Service Providers are using it anyway). You might have seen my 10 MPLS Traffic Engineering Myths or the Perfect Load Balancing article … and if you don't know what I'm talking about, there's always the introductory Traffic Engineering the Service Provider Network. The major problem of MPLS TE is that it's complex and that networking engineers usually lack the hands-on skills, and this is where we can help you: we've just rolled out the revised MPLS TE lab exercises. Compared to remote lab offerings from other sources, these lab exercises are very focused: you get step-by-step instructions (but no recipes, that would spoil the learning process), preconfigured equipment (so you don't have to configure IP addresses or IP routing protocols to get the job done) and detailed solutions explaining which task is achieved using a specific set of configuration commands. When two groups within Cisco needed time-based command execution in Cisco IOS, they (in a typical big-corporation fashion) decided to implement the same wheel from two different sets of spokes and rims. One group built the Embedded Event Manager with its event timer cron command (introduced in 12.2(25)S and 12.3(14)T), the other group created the more limited kron command set (introduced in 12.3(1)). EEM is almost a perfect superset of kron, both can trigger a set of CLI commands at reload, at periodic intervals or at certain time in the future. The only extra functionality offered by kron is the ability to specify a different username for each event (whereas all EEM applets have to run under a common username) … and kron is available in older IOS releases. Similar to EEM applets, CLI commands executed within kron cannot expect extra input (so you cannot execute clear counters or reload from kron) and the output they generate is lost unless you use output filters to redirect it to an external file. Obviously, I would like the ISDN backup to kick in whenever the primary connection goes down; two static default routes and reliable static routing on the primary default seem like a perfect solution. Type-7 encryption used in enable password has been broken. Source code for the decrypt program and cracker programs are available online, or you could use a router to do it for you. The type-7 encryption is reversible (and easily breakable due to a weak algorithm), whereas type-5 encryption is a one-way encryption that probably requires a dictionary attack to break. Based on the previous two facts, you should never use enable password. Use enable secret. The service password-encryption encodes passwords attached to local usernames with type-7 encryption. The usage of type-7 encryption is necessary as you might need the cleartext passwords in some authentication mechanisms (for example, CHAP). However, it's still better to have scrambled passwords than cleartext ones; at least a casual observer will not be able to read them. Conclusion: use service password-encryption. If your authentication methods don't need cleartext passwords (examples: local username/password authentication, local AAA authentication or PAP authentication), use username secret configuration command (available from IOS releases 12.2T, 12.3 and 12.0S). To trigger PPP negotiations, shut down and re-enable the serial interface on either side. Note: As I'm using PAP authentication, I could use the more secure username secret configuration command, which would not work with CHAP. When I was testing the SMTP client on the routers (configured with action … mail command or as part of EEM SMTP library), I didn't want the messages with weird addresses and content to circulate through our e-mail system (plus I wanted to see the results immediately), so I wrote a simple SMTP server in Perl that prints the messages it receives. It accepts a single parameter: the IP address to listen on (only needed on workstations with multiple IP addresses). You need the Net::SMTP::Server module on top of the standard Perl distribution to make it work. You can download the PERL source code or compiled EXE file (for Windows users) from CT3 wiki. Update 2011-12-07: You might also want to read the Responsible generation of BGP default route article describing the ISP side of the solution. Update 2008-08-10: IOS behavior has changed; fixed the article. Martin Kluge sent me an interesting BGP question: he has two upstream links and runs BGP on both. Since his router is low on RAM, he cannot accept full routing, so he's just announcing his IP prefix and using static default routing toward upstream ISPs. … and the show command does the decryption for us. Someone has asked me a while ago whether it's possible to retain variable values between invocations of an EEM policy. Since a new copy of Tcl interpreter is started for each event, global variables obviously won't work; they are lost as soon as the Tcl policy is finished. A potential solution is to modify the router's configuration and save the values you wish to preserve in event manager environment, but that's a time-consuming process that interferes with whatever router configuration management process you have. The value you want to preserve is saved with appl_setinfo key name data value function call. Keys must be unique; you can only set the same key once. If you try to set the value of a key multiple times, the function does not overwrite the previous value but fails. You can read the value with appl_reqinfo key name function call. If the key value hasn't been set, it returns an empty string and sets the $_cerrno variable, otherwise it returns a list with 'data' as the first element and your value as the second list element (I have to admit I've seen simpler APIs :). Once you read the key value, it's gone. You cannot read it twice. ::cisco::eem::event_register_cli sync no skip no pattern "show"
If the first element in the list is 'data', then the second element is our value. action_syslog priority info msg "Show command was executed $lastCnt times"
Save the new value of the counter to be retrieved by the next invocation of the same policy. Thinking about the implications of bit stuffing I wrote about in the SDLC post, I realized that long sequences of ones would be transmitted slower than long sequences of zeroes due to an extra bit being inserted after every fifth consecutive one. The theory would predict a 20% decrease in transmission speed. A few days ago I was describing the impact of CEF accounting on a router (based on its architecture). The picture is clearer with Netflow: Cisco has published a white paper detailing the impact of various types of Netflow accounting on a large variety of platforms, from an 1800 ISR to the GSR (12000). The link to this white paper has been published in Joe Harris' blog. Joe Harris published an excellent post detailing how you can use Flexible Packet Matching to recognize (and potentially block) Skype traffic. The solution depends on recognizing the first four bytes sent by the Skype application in a TCP session. While this is a great idea, you have to be aware that there's always a non-zero chance of false positives, more so as the described filter is testing the beginning of the payload in every TCP packet (not just the first data packet in the session). Distributed software platforms are more complex, as the central CPU has to (at the very least) collect the switching statistics. In the case of a Catalyst 3550 switch, the L3 TCAM it uses to support IP routing, PBR and access-lists is so different from the CEF data structures that IOS has to fall back to software L3 switching to collect CEF accounting data. My recent post about problems with old modems has generated a lot of comments with some very useful ideas, but nobody addressed the question “why was a long string of ones not a problem?”, so let's start there. Almost all WAN synchronous protocols in use today are descendants of venerable SDLC invented by IBM more than 30 years ago. SDLC was later extended to support connectionless and balanced modes, resulting in HDLC. PPP is just an extension of HDLC, adding support for negotiations and standard layer-3 protocol demultiplexing. In SDLC, IBM also solved the frame delimiting and associated escape character problem inherent in previous protocols like BSC (DLE was used in BSC) by introducing bit stuffing: a zero would be inserted after five consecutive ones (and silently removed by the receiver) to differentiate the regular data stream from framing (six consecutive ones) and abort (more than six consecutive ones) sequences. Thus, the HDLC (or PPP) data stream can never contain more than six consecutive ones and the long sequences of ones never cause synchronization loss. IBM obviously also had problems with bad modems and solved it with the NRZI encoding that was part of SDLC standard (and a major pain in the good old days when the appliques on the old Cisco routers did not support it and we've been trying hard to penetrate IBM accounts). You can still configure NRZI encoding on most routers' serial links (it might depend on the actual hardware platform) with the nrzi-encoding interface configuration command (you had to do it with jumpers in the AGS+). Incidentally, changing interface encoding to NRZI was really helpful when you had to break things in the preparation for the troubleshooting part of the original CCIE lab). The nrzi-encoding (if available) is the best one, as it reliably solves the problem, is transparent and does not incur additional overhead. Compression or encryption are OK, but they result in significant CPU overhead (unless you have hardware encryption/compression modules) and might (at least in theory) still produce a long sequence of zeroes, although with a very low probability. IPSec also introduces overhead due to additional IPSec headers. LFI (effectively multilink PPP over a single link) is also a good solution, as the PPP framing and MLPPP headers break the long sequences of zeroes (you might have to fine-tune the fragment size with ppp multilink fragment size configuration command), but it introduces overhead on the WAN link. IP fragmentation would work, but would be quite bandwidth-consuming. If the fragmentation would be performed by the router, the overhead would be 20 bytes per fragment (IP header), if the sending host performs the fragmentation, the overhead is 40 bytes per fragment for TCP sessions. For example, if we reduce the IP MTU size to 256 bytes, the TCP session overhead is over 18% (and we were scoffing at the ATM designers that made us live with 10% overhead). The invert data command would only help if the modem has problems with long strings of zeroes, not with long strings of the same value. The tunnel key command just sets a 4-byte field in the GRE header but does not affect the encapsulated data at all. I've downloaded the ActiveTcl from ActiveState. It's always good to have development environment on your workstation. The documentation that comes with ActiveTcl is quite cryptic, but once you know what you're looking for, it's OK.
To get to the "I know what I'm looking for" stage, I've used Tcl/Tk: A Developer's Guide. If you know better beginner books/sources, let us all know. In the pre-DSL days, you had two options to get a short-haul high-speed link (at least in Europe): take E1 (or fractional E1) from a telecom (which was more expensive than a highway robbery, as the cost was recurring) or use baseband modems with proprietary encoding techniques on physical copper wires (assuming you could get them). As it turned out, some of these encoding techniques were not as good as the others (but the equipment was relatively cheap, so the budget limits usually forced the decision). We had our own share of modem-related problems, but they were never as bad as what I've heard from one of my students: his modems would lose synchronization when transmitting a long string of zeroes over a regular synchronous serial interface; ping ip 1.2.3.4 size 1000 data 0000 would be enough to bring down the link. What could you do on the router to fix this problem? Why was the synchronization retained when transmitting a long string of ones? Did you believe MPLS TE was a quality-of-service feature? Did someone persuade you it's mandatory to run OSPF or IS-IS if you want to deploy MPLS TE? I've collected a few more myths like these two and explained the actual facts behind them in an article published by SearchTelecom. Warning: Due to total lack of any security features in TFTP protocol, use this functionality only in lab environment. Although the router allows you to configure distribute-list acl in interface, it does not work. Routes received through that interface (or having the interface as the next-hop) are not filtered. When you apply the distribute-list in command, the routing table is not changed. Clearing the IP routing table does not help, you have to clear ALL OSPF processes (including bringing down all OSPF adjacencies) with the clear ip ospf process command for the route filter to take effect. The same limitations don't apply in the other direction: when you remove the distribute-list in, SPF is triggered and the routes appear in the IP routing table automatically. The somewhat undocumented gateway option of the distribute-list in command works, but not quite as I would expect: the IP next hop, not the router-ID of the router advertising the IP prefix is matched by the prefix-list. And, last but not least, I've lab-verified my previous claim: applying the distribute-list in on a transit router can result in a black hole, as the LSAs themselves are not filtered. John S. Pumphrey recently asked an interesting question: “Can the router send an e-mail when an interface goes down?” The enterprisey solution is obvious: deploy a high-end EMS to collect SNMP traps and use its API to write a custom module that would use a MQ interface to alert the operator. Fortunately, Event Manager applets in Cisco IOS provide action mail command (available in 12.3(14)T and 12.4) that can send an e-mail to a SMTP server straight from the router. There are two ways you can detect that an interface went down with EEM: either you track the interface status with a track object and start an EEM applet when the track object changes state or you catch the syslog messages reporting that the interface line protocol changed state to down. The second approach is obviously more generic, as a single applet can act on multiple interfaces. If you want to limit the applet to serial interfaces only, you could change the pattern to LINEPROTO-5-UPDOWN.*Serial. *to down. The → continuation character is used to indicate that a single configuration line has been split to increase readability. The netmask-format of your line has to be set to bit-count for this command to work properly, otherwise the columns will be shifted to the right. A while ago I wrote about cached CEF adjacencies and the impact they have on ARP caching. If you ever need to, you can debug them with the debug ip cef table command. As this command might produce a lot of output in a production network, always use it in combination with an access-list that limits the debugging to the selected address range. Download it from my web site and copy it to your router's flash or NVRAM. Define an alias, for example alias exec mtu tclsh flash:displayMTU.tcl. The script recognizes two parameters: the ip parameter displays only the interfaces that have IP configured and the mpls parameter displays only the MPLS-enabled interfaces. A few of the readers pointed out that I've forgotten about OSPF route filters in the post I wrote about running OSPF across the firewall. Actually I didn't, as it's only available in IOS, not in ASA/PIX. However, this is not the familiar route update filtering available in EIGRP, BGP or RIP. The route updates (LSAs) are not filtered (as they should not be in a link-state protocol); the filters control the transfer of the IP prefixes from the SPF tree to the IP routing table. To keep the record straight, I have to point out that this is not a new feature. You could have achieved similar results (almost) forever with the distance 255 command (remember: 255 = totally unbeliavable = not installed). Later on, you could use the distribute-list in router configuraton command and in 12.2T this command has been extended to accept a route-map. However, as this functionality is totally different from the distance vector route filters and doesn't play well with OSPF concepts, you have to use it very carefully. Every OSPF router still propagates all the LSAs, but if it fails to install the resulting IP prefixes in the IP routing table, it's a potential blackhole (see the following figure). With all this being said, I cannot see the “OSPF inbound filtering” as it's slightly inappropriately named being widely used. Do you have any great scenarios where this feature would be really helpful?